A few weeks ago, I witnessed a physical act of what appeared to be dating violence. It happened in a public space, during rush hour and with law enforcement nearby. It was horrible. A million thoughts washed over me in those seconds – I need to act, to intervene, to stop this! But also, will I make it worse, will I get hurt, will anyone else step in or am I on my own? I joined with two other women to take action, but I was left with questions lingering in my head. I know that our action stopped the violence that had already started, at least in that moment, yet I was still bothered. Maybe because I figured it would happen again, but probably not in a public space with bystanders who would intervene. I wondered, “Why did only three of the many people standing around act?” Was it because they were scared? Or did not want to get involved? Did some of them not know that what they were witnessing was not normal, but was in fact harmful? Or maybe they wanted to do something and knew that it was violence, but they did not have the skills and confidence to take action. Also, I thought about the man perpetrating the violence. What lessons, values and norms were at play in his decision to commit his violence? How could this have been prevented from happening in the first place? Now, a few weeks later, it is during the #ItsOnUs National Week of Action. 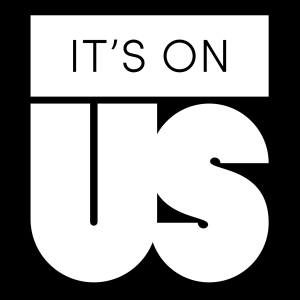 PreventConnect, a national p roject of CALCASA, has partnered with the Its On Us campaign to encourage active bystanders, on our college campuses, and in our communities at large. And, weeks later, I am still considering those questions. Bystander intervention is an important piece in our efforts to prevent sexual, domestic and dating violence in our communities. This strategy has become more common, especially on college and university campuses. While my story did not happen on a college campus, it easily could have. By focusing on bystanders, we as a community, or campus, are forced to understand that sexual and domestic violence is everyone’s problem. We all have a stake in preventing this violence and we can have an active part in stopping it. Bystander intervention programs provide solutions to some of the questions I posed above – to give people information, tools and skills to intervene in harmful situations. Bystanders can play a role in preventing gender-based violence efforts, but it cannot be our only approach. It’s On Us helps bring attention to how we can be part of the solution toward ending sexual and domestic violence. #ItsOnUs to continue exploring, discussing and implementing comprehensive prevention strategies on our campuses and in our communities that aim to shift culture, not just through individual solutions, but through primary prevention approaches that allow us to be proactive to create change in our communities.